Hello Flower Friends & Happy Valentine’s Day! It feels like forever since we’ve blogged here. We have been so busy with wonderful clients, dreamy weddings & exciting changes for our studio! Oh where to start?…. It seems only right to begin with gratitude and love for all of our fabulous couples we had the pleasure of working with in 2018. 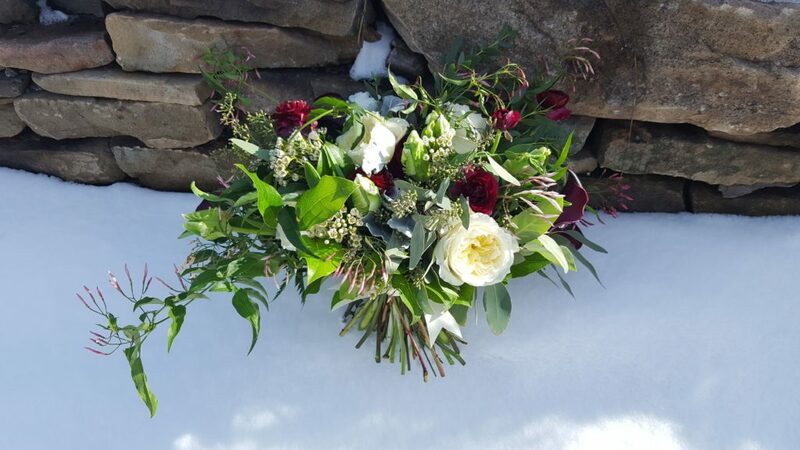 From industrial chic, to whimsical woodland, to rustic barn & farm style; all of our couples had beautiful visions that were a joy for us to develop and bring to life. Each and every event we worked on was truly unique! We will be blogging about these in more detail in the coming weeks and months, but here are a few teaser photos to get you excited! Bouquet prep for Alison and Billy’s big day. 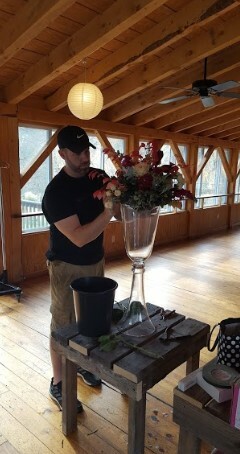 Heather’s talented husband, Bryan designing behind the scenes for Erin & JB’s wedding. 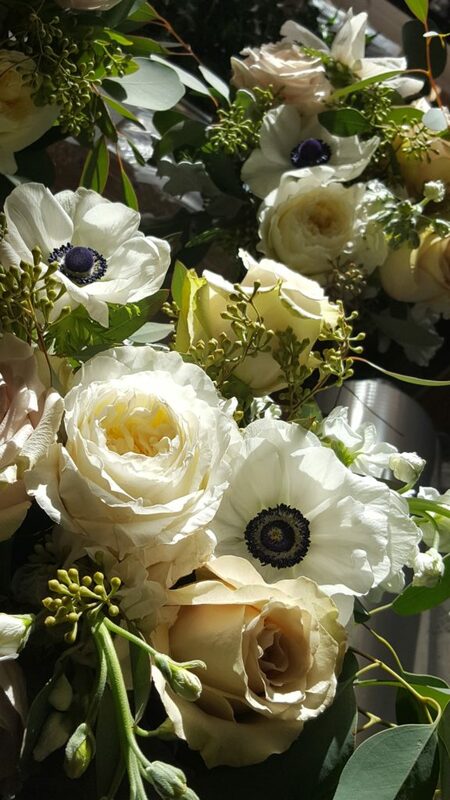 Emma’s bouquet- still swooning over this one! We have also spent a lot of time and effort into updating changing the look of our website. You will notice we have updated our packages. We are happy to say this will make things so much easier for our clients and will make the initial stages of planning and proposal SO MUCH FASTER! If you haven’t yet, please stop by our new website and have a look around. While you are there make sure you subscribe to our mailing list as well! Finally, and perhaps our most exciting and biggest project we’ve undertaken in the last few months: we are moving our studio! Heather and her family found and moved into their beautiful new home back in May. Right on their property is an adorable carriage house that has been undergoing thoughtful renovations to be the new, improved studio of A Night In Bloom. The process is still underway, but we look so forward to sharing photos once everything is in place and ready! As you can see, 2018 was a beautiful whirlwind of events! We are so blessed and grateful for all the opportunities and new growth we’ve experienced in the past year. Thank you so much for being patient with our little blog here while we catch our breath and prepare for what is already shaping up to be an amazing 2019 Wedding Season.